There’s no doubt about it, the popularity of outdoor adventure is on the rise. It is awesome to see so many people excited about exploring nature, exactly what we love to do. Certain trails are experiencing huge issues with trash and general damage. This is not only blamed on the huge increase in visitors but also lack of awareness of appropriate backcountry behaviour. Volunteer search and rescue teams such as North Shore Rescue are experiencing a dramatic rise in rescue calls. Again, this is explained not only by the increase of trail users but also the number of new visitors who may less aware of the risks and dangers of the backcountry. This is not to say that veteran backcountry users are by any means perfect in their treatment of nature and/or preparation for risks. I want everyone to have the safest experience possible when exploring the backcountry in Canada and elsewhere. 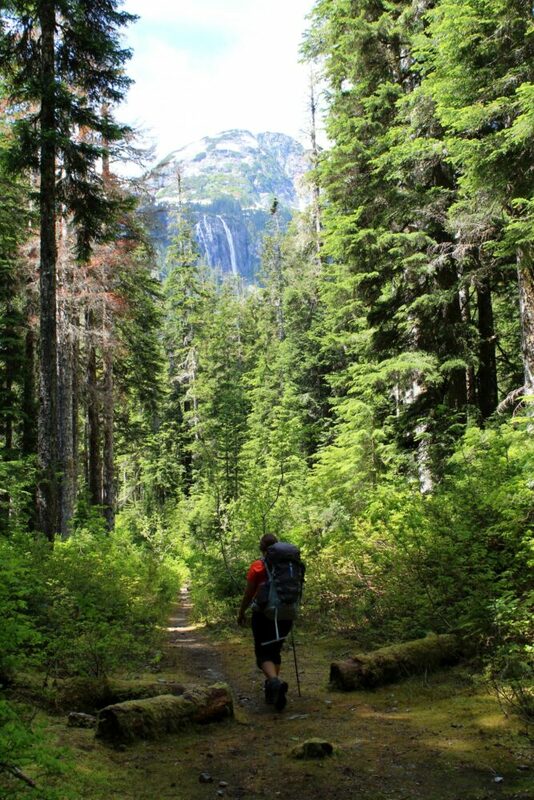 I also would love to see the backcountry preserved for future generations to enjoy. 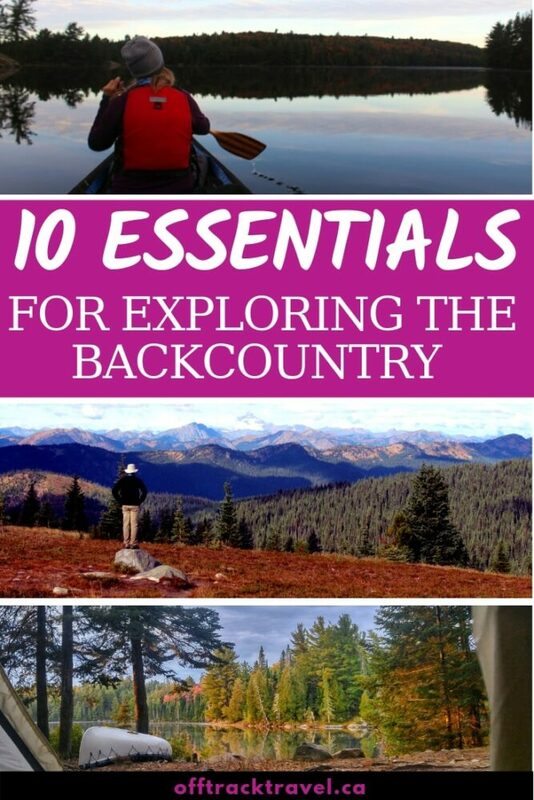 These reasons are the catalyst for this post and the reason why it will be linked in all of my new backcountry guides and posts going forward, as well as those already published. Note – My usage of ‘backcountry’ in this context is a remote, undeveloped area usually access to hike, paddle, climb etc. Whether you’re starting a week-long hike in the mountains or want to explore a 5km return trail near the highway, there are some essential items that you should carry. Situations that would usually be slight inconveniences elsewhere (changes in weather, injuries, other unexpected events) can easily turn into life-threatening emergencies in the backcountry. These items can help prevent these situations and also alleviate them when they do happen. 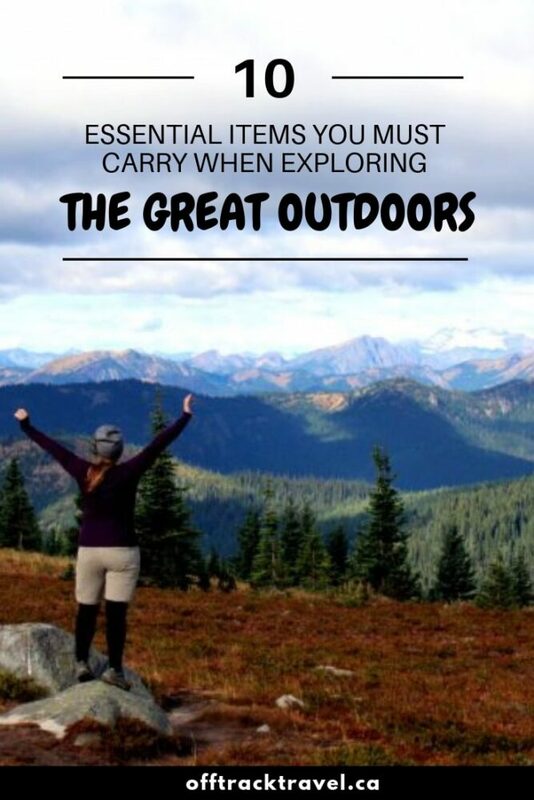 This 10 Essentials list is adapted version of the originally compiled by the Seattle branch of the outdoor recreation and education group ‘the Mountaineers’ in the 1930’s. It remains incredibly relevant today. There are some affiliate links in this post. If you make a qualifying purchase through one of these links, I may receive a small percentage of the sale at no extra cost to you. Bring clothes and accessories for the coldest possible conditions during the season you are travelling in. Weather can change very quickly, especially in the mountains. Never assume that the weather at the trailhead will be the same at your destination. Bring a hat, gloves, waterproofs, a mix of layers and extra socks. Avoid wearing cotton because it absorbs sweat, takes an age to dry and is heavy and cold when wet. Cotton can literally kill. Wool and poly clothing, on the other hand, don’t have these problems. Easily one of the most overlooked ‘essentials,’ sun protection is so important to prevent sunburn and sunstroke. Alongside sunscreen, remember to bring sunglasses, lip balm (with SPF rating) and a hat. Don’t forget that the sun can penetrate through clothing too so choose clothing that can block UV rays more effectively. JR and I wear a lot of merino wool that (in addition to its many other benefits mentioned above) has a natural SPF rating of around 20+. Always carry a detailed map and compass to identify your location and how far you need to travel. Not sure how to use a map and compass? For hands-on lessons, check local hiking clubs and large outdoor gear retailers. Make sure your map is in some kind of waterproof container, such as a Ziplock bag. Even if using a GPS unit or phone app, always have a map and compass as a back-up. Carrying extra food is particularly important in case of unexpected delay. Not only essential for emergencies, there are plenty of other backcountry scenarios in which extra food is much appreciated. Difficult terrain and wet weather are always easier to get through with the energy and morale that food brings. On multi-day trips into the backcountry, we bring an extra day of food rations. Water is essential for the body to perform well. Dehydration is dangerous! Drink plenty of water before setting out and bring plenty with you (1-2l is a good idea, though it depends on location and weather). Always have some method to purify or filter water – that stream water may look and taste great but may also be carrying bacteria that could make you sick. My preference is to bring two variations of filtering/purification systems, one being a handful of ultralight Aqua Tabs as a backup. A First Aid kit is invaluable for every-day irritations (bee stings, small cuts) to major injuries. Create your own from scratch or buy a pre-made kit and then supplement as needed. Always check expiry dates on items before each trip. Some essential items we have in our kit include bandages, gloves, scissors, oral rehydration salts, blister plasters, surgical tape, tweezers and antihistamines. Consider taking a Wilderness First Aid course. A fire can be a lifesaver for backcountry users needing to signal for help or suffering from hypothermia. Bring matches at a minimum, preferably of the waterproof kind or in a waterproof container. Firestarters, as the name implies are designed to get a fire going quickly. Commercial varieties are cheap to buy. We try to make our own with birch bark or small amounts of kindling. Let there be light! An unexpected delay to your backcountry trip could mean time spent in the dark. Every member of the group should have some form of light. Headlamps are the most used form of lighting in the backcountry. Simple to use, cheap to buy and lightweight, headlamps allow hands-free movement and usually have a long battery life. Bring extra batteries and consider an emergency light for back-up. Having a way to repair equipment can be so vital when in the backcountry. The answer? The all-purpose, fix everything lightweight saviour that is duct tape. There are fancier methods to fix items, but at a minimum, always have some duct tape. Having a knife or multi-tool is also immensely useful for a range of tasks including building shelter, creating kindling and assisting with first-aid. Having an emergency shelter can make all the difference if unexpectedly forced to spend a night in the backcountry. There are quite a few emergency blankets, bivvy bags and tarps on the market. I personally like the blankets and bags made by S.O.L as they are bright orange on the outside, a good colour for signalling for help if needed. 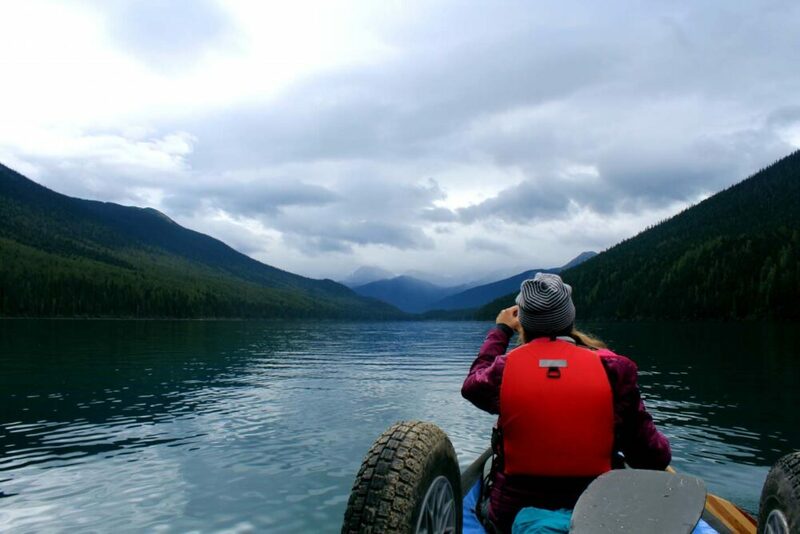 On paddling trips, we always carry an emergency blanket in our PFD pockets in case we become separated from our canoe or kayaks. At the very least, bring a whistle. If lost or injured, yelling is tiring and also difficult for rescuers to hear. Whistle blasts are much more effective. If bringing a cell phone – charge it fully, turn it off and then store it somewhere waterproof. Reserving the battery is important in case of emergency. If your phone is also your camera, bring a portable battery charger. Solo hikers or those heading into particularly remote areas may want to consider buying a satellite communication device such as the Spot or InReach (we recently purchased the latter). 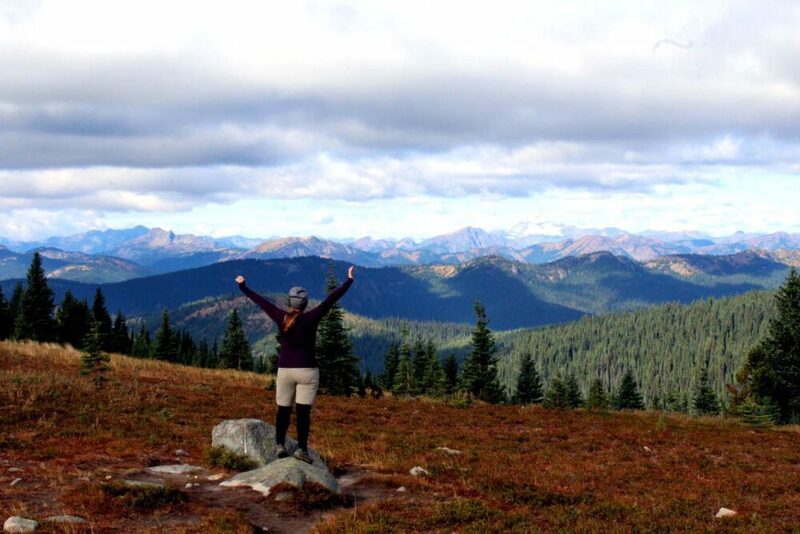 Follow Leave No Trace principles to reduce your impact on nature. 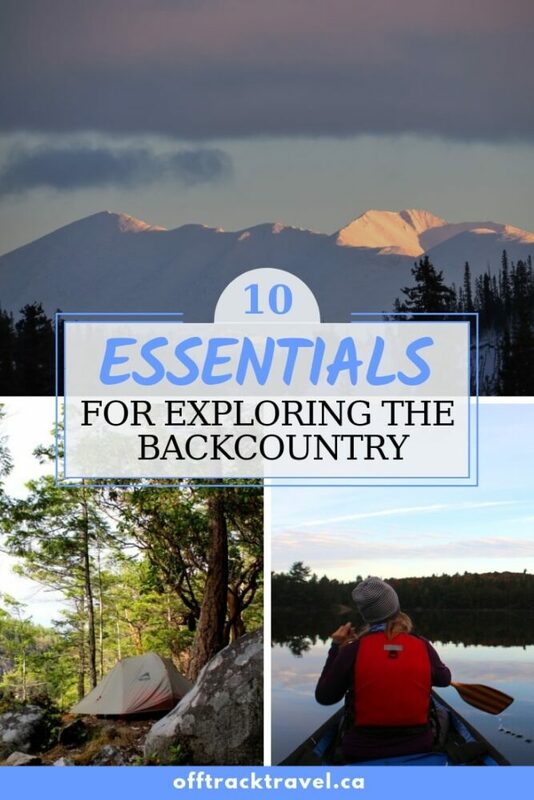 The basics of this include (but is not limited to) packing out what you brought in, camping on existing campsites or durable surfaces, washing away from streams and lakes, leaving nature in nature (don’t bring back souvenirs), minimising campfires and respecting wildlife. Tell someone where you are going and when you plan to be back. Better still, complete this AdventureSmart trip plan (PDF download will start) with the details of your adventure and leave with a friend or family member. Remember Aaron Ralston who got stuck in a canyon for 127 hours and had to cut off his arm to get out? He didn’t leave a trip plan with anyone. Be prepared to turn back. If the trip doesn’t go as planned due to bad weather, minor injuries or other unexpected circumstances, it may become necessary to turn back. Yes, this means not finishing the hike or whatever challenge you set yourself, but it is so important to know your limits. Not turning back can potentially make the situation worse. Learn about safe travel in bear country. Knowing how to avoid a bear encounter is the best approach when exploring Canada’s backcountry. Always make noise (trust me, they want to avoid you as much as you want to avoid them), watch for fresh bear signs (droppings, tracks, diggings) and maintain a clean camp (refer to Leave No Trace principles). I would also recommend learning about bear behaviour and purchasing bear spray. Wearing a bear spray holster is ideal for quick use.